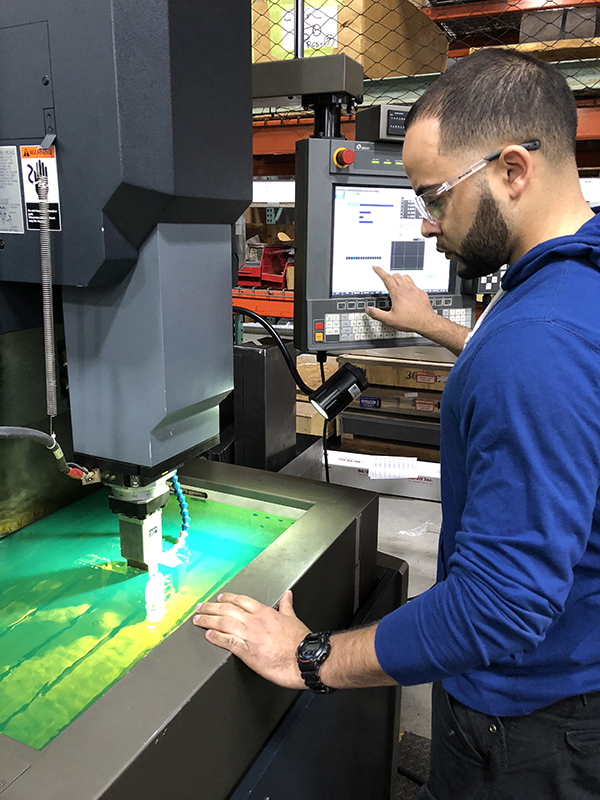 Recently Glebar spoke with Anthony Sanchez, EDM Machinist to see how he felt about what it’s like to work at Glebar. Glebar: How long have you been with Glebar, and where did you work prior? Anthony: I have been with the company since February of 2016 and prior to Glebar I was working at a company called Zimmer Biomet in their production/EDM area. Glebar: What do you enjoy most about working at Glebar? And what is your greatest challenge? 1: I like a new challenge. At Glebar, unique new processes are always being developed. It’s not a lot of “off-the-shelf” type of production. I enjoy taking these types of challenges on how we are going to make these parts in my department. 2: Working with people that have been in the trade for such a long time – I’m constantly learning new things from them and they also enjoy teaching me. 3: The work schedule! I like coming in early (7:30am to 3:30pm) and being able to leave early to spend time with wife and kids. My biggest challenges are learning programming and getting the work done on schedule. Glebar: What is your greatest contribution? Anthony: I feel that my greatest contribution to Glebar is my 5s Six Sigma knowledge (Sort, Straighten, Shine, Standardize and Sustain), which has been implemented in other departments, helping the QC process to inspect parts from vendors. Also, I like to believe that my positive attitude at work influences others. Glebar: What is the most you have gained out of Glebar? Glebar is good, too. Everyone will not hesitate to help you and bosses listen to any new ideas and open-minded about them. Glebar: What do you do outside of your area, time permitting? Anthony: Usually there’s not much downtime but when it happens I help out the QC department to inspect or I do maintenance on our equipment if any has to be done or keep my department clean and up to date with the 5s.